The End of Free and Legal Streaming? Crunchyroll have up till now been the bastion of free and legal online anime streaming, grabbing as many shows as they can from each season, and streaming them to as many territories as they can get the license for. They’ve run a two tier service, with free SD ad supported streams for those who’d rather not pay, and ad-free HD streams for subscribers, and with most of their content available for all. This weekend came an announcement that might signal the end of that. They’re ending free access to their catalogue titles, and restricting new episodes simulcasts to 13 weeks availability after release. At the moment this applies to Canada alone, ostensibly prompted by the weak exchange rate between the US and Canada. As of February 1, 2016, catalogue titles will be available exclusively to Premium subscribers. As a free user, you will still have access to all currently airing titles, so you’ll have plenty of time to stay up to date on the newest anime. Each new episode of a currently airing title will be available for a 13-week period, after which it will be available to Premium subscribers only. As we strive to continue improving our Premium service on a global level, there are many factors that must be considered on a region by region basis. For the past 5 years, despite fluctuation in the Canadian exchange rates and the rising cost of licensing and streaming anime, the price of Crunchyroll Premium has remained the same. Our goal is to continually improve our Premium user experience and deliver the highest quantity and quality of anime and manga titles to all subscribers, including the latest premieres straight from Japan, without raising the price of our Premium service. This seems a somewhat facetious argument at first, after all free streaming is just that, free, and no matter the exchange rate, zero will always be zero. It’s also highly suspicious that Crunchyroll will single out one nation because of a fluctuation in exchange rate (exchange rates always fluctuate) and not do the same to other, similarly straitened nations, after all we are in a downturn right now. Canadians would be and are rightfully peeved that they were singled out. It’s far more likely that this is a test case for Crunchyroll, before they roll out the policy globally. After all, Crunchyroll is a business, and no business gives away for free what they can monetize. We’ve had it lucky so far with anime streaming from Crunchyroll, but if they’ve finally reached that point where they are making profits from subscriptions alone, it becomes less attractive for them to give their content away for free. If you are like me, a casual streamer who has time to watch just three or four episodes a week, you’ll be way behind on your current shows (there are usually thirty or so each season), and no prospect of ever catching up, then a subscription seems a waste of money for a service that is hardly ever used. This could shut down a whole lot of casual viewers. Last week it was the online streaming service, FunimationNow, this week it looks like physical releases are on the horizon from Funimation. An eagle eye has spotted that Seraph of the End has been listed on e-tailer websites as coming to the UK from Universal Pictures. Given that Funimation last year signed a distribution deal with NBC Universal to handle their physical releases, this seems to indicate that they will in effect be selling directly to the UK market, as opposed to dealing with third parties such as MVM, Revelation and Manga, as they have in the past. It will be interesting to see how this experiment fares in the UK, as in the past, the big studios haven’t had big studio success in distributing anime, as we’ve seen through attempts by Warners and Sony to release here, and that tends to quickly dissuade them from further attempts. It will all come down to whether these will be Funimation authored and logoed releases, or if Universal will be doing the heavy lifting in the UK. EDIT: A comment from Anime Limited's Andrew Partridge, who streamed Seraph of the End to the UK clears the waters. It's not in actual fact Funimation, but a direct release by Universal Pictures. It turns out that NBCUniversal Japan chose to retain the home video rights. It was a packed week for anime last week, beginning with a title that has been on my personal to-watch pile for far too long. 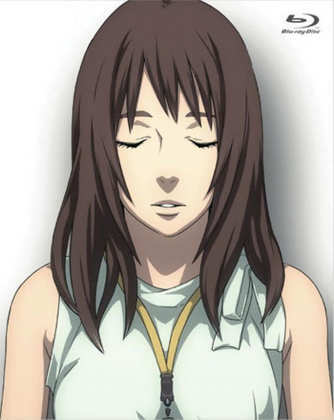 I finally, finally got a look at The Time of Eve Movie, nearly a year after I actually bought it. There certainly wasn’t a rush when it came to the story, as I have seen the original net animation episodes twice already to date. But this tale of a future world where robots and humans are still working out the kinks in the way they relate to each other takes on a whole new dimension in feature film form. The creators have fashioned a framing story that glues the episodes together very effectively; you can hardly see the seams. It looks fantastic in high definition, and the Blu-ray comes with some amazing extra features. Click on the review to see me gush about this fabulous release. There was less gushing when it came to my second review of the week, One Piece Collection 12. We’re almost up to the 300th episode of this long running action comedy, and it’s taken this long for the dreaded filler to bite. But bite it does with a vengeance, at the point which in the manga is a tense, dramatic, and well paced story, but which on screen has the brakes applied thanks to recaps at the start and the middle of each episode, and five whole recap episodes stretching out a key moment in the story, and two bonus episodes as well in the middle of the run. We may have nearly ten hours of anime here, but the rescue of Nico Robin only moves up one gear. I could have gushed for hours when it came to the visual aspects of Beyond The Boundary, after all it is a KyoAni joint, and they put their customary love and attention into making this supernatural, slice-of-life, action comedy look as pretty as possible. And it is breathtakingly gorgeous, each frame a delight. Alas there were a few issues with its story, not least of which was the melding of a slice of life comedy with a supernatural action show; two genres that don’t seem like natural partners. It also resulted in some incongruous characterisations. Click on the review to marvel at the pretty screencaps, and see what else irked me about the story. 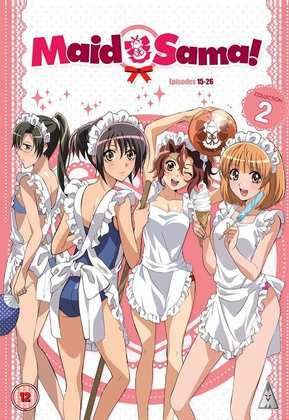 It turns out that the week might have started with a gush, but it quickly diminished to a trickle long before I came to my final review, Maid Sama: Part 2. The promising romantic comedy had some kinks to work out at the end of its first instalment, having come up trumps with the comedy, but still off-kilter when it came to the romance. I had hoped that this concluding half would have rectified that, but it’s still weak when it comes to its characters’ relationships. Fortunately Maid Sama has an ace up its sleeve, in that when it does do comedy, it does it well indeed. Click on the review to see if that is enough to salvage the show. Gunslinger Girl. Once in a while an anime comes along that not only transcends its genre, but it transcends its medium as well. Gunslinger Girl is one such show, which is as far away from what its title may make you expect, without losing that title’s meaning. It’s about little girl cyborg assassins in a fictitious Italy fighting a terrorist insurgency, but this show is one in a million. 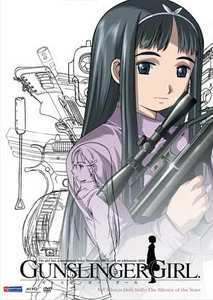 999,999 other anime shows with this premise would go the cutesy, moe route, would throw in comedy, over the top action (it’s something the sequel series was a little guilty of), but the original Gunslinger Girl takes the fantastic premise and looks at it realistically. Just what kind of girls would be turned into cyborg assassins, what effect would it have on them, just what would their relationships be with their handlers, handlers that they are programmed to obey without question, to be loyal to the point of romantic obsession. It’s slow-paced character drama that will hook you from the first episode to its emotional climax, and even after ten years, and despite the fact that I’m now watching it for the seventh time, it still remains one of the best anime in my collection. Gunslinger Girl was originally released here in three volumes by MVM (here’s my review of volume 3), and was then later packaged in a complete collection by Revelation Films (and Matthew Smart’s review of the boxset). Your best bet for the single volumes is second hand at this time, although there might be a few stray volumes on e-tailer shelves. I have seen the Revelation boxset listed as new on Amazon, but it is egregiously priced. Region 1 offers a more affordable alternative with Funimation’s Classics boxset. Funimation also released an upscaled Blu-ray which is Region B compatible. Whatever you do, don’t mix it up with the sequel Gunslinger Girl Il Teatrino, which while good, isn’t a patch on the original. Pied Piper released the Time of Eve: The Movie Deluxe Edition Blu-ray at the end of 2014. 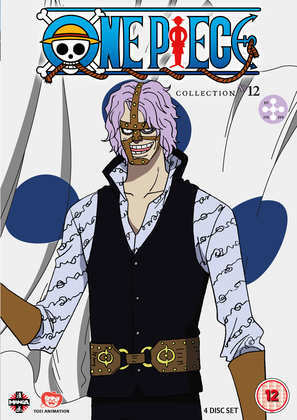 Manga Entertainment released One Piece Collection 12 on DVD on the 28th of December last year. 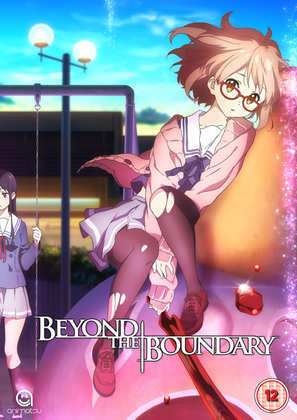 Beyond the Boundary: Complete Series was released on DVD and Blu-ray by Animatsu last Monday, January 11th, while Maid-Sama Part 2 comes out on DVD courtesy of MVM on the 25th of January.